Online registration closed Tuesday 1st May 2018 at midnight. Click here to view the full conference programme. 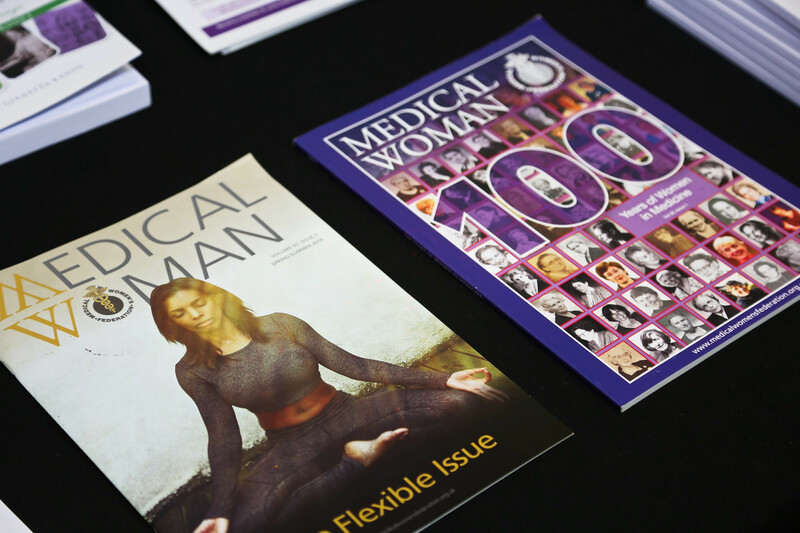 In 2017 the Medical Women’s Federation proudly celebrated 100 years of working to advocate the personal and professional development of women in medicine. The year from May 2017 to 2018 is called 'Women in Medicine Year,' with many Royal Colleges having anniversaries, in particular, the 500th anniversary of the Royal College of Physicians. We welcome you to commemorate this auspicious year with us at our main Annual meeting on the 11th of May 2018 in Cardiff. The MWF Spring Conference 2018 is a platform for inspiring medical minds to meet, stimulate new thinking and extend professional relationships. In our Spring Conference we will explore the determinants of health for women in medicine, and how being a doctor, a carer or a patient can impact on our physical and mental health. We are excited to host some of the brightest and most respected pioneers in medicine. The conference will explore a wide range of themes, from prenatal testing, perinatal mental health, menopause, to dementia, and many more. This gathering of eclectic medical minds gives you access to one of the world's most energetic networks of medical women. Dr Melanie Davies is a Consultant Obstetrician and Gynaecologist at University College Hospital London. Melanie is a past MWF President and currently a member of NICE and RCoG committees relating to the menopause, (Clinical Director, Women's Health Guideline programme, National Collaborating Centre for Women's and Children's Health (NICE). Dr Sally Davies is a recently retired Consultant Clinical geneticist, University Hospital for Wales, and the immediate Past MWF president. Sally undertook an MSc in Medical Education and worked in the Wales Deanery introducing the support program for trainees. She continues to be active in medical education. Professor Louise Howard is Professor of Women's Mental Health, King's College London. Howard's research includes medication in pregnancy, violence and health and the effectiveness and cost-effectiveness of perinatal mental health services. She was appointed National Clinical Advisor NHSE Improving Access and Waiting Times Perinatal Programme 2015-2016 and was a Specialist Committee member for the Quality Standards Committee NICE CG192 (2015). She is currently a NICE Expert Adviser for the Centre for Clinical Practice (2016-8) and a member of the government Women’s Mental Health Taskforce 2017. Dr Rose Marnell is a GP, and has a teenage daughter with spina bifida. She is an active member of SHINE (a charity supporting people and families living with spina bifida and/or hydrocephalus). She is also Clinical Director of HMP Cardiff Prison Healthcare. Dr Annie Procter is a Consultant Geneticist at University hospital for Wales, Cardiff, & Clinical Board Director Mental Health Services, Cardiff & Vale UHB at NHS Wales. Mindfulness: led by Dr Olwen Williams. This session will provide an introduction to the practice of Mindfulness and will include an opportunity to participate in a variety of mindfulness exercises, and resources to access to aid future practice. We welcome you to join us for the unmissable after Conference drinks and dinner. The formal conference dinner will take place on the evening of Friday 11th May 2018, at Jurys Inn, Park Place, Cardiff, CF10 3DN. The after dinner speaker is Ilora Finlay, Baroness Finlay of Llandaff, Professor of Palliative Medicine. Baroness Finlay is a past MWF President and an Independent Crossbench member of the House of Lords. This will take place directly after the conference on Friday 11th May, 4:30-5:30pm at the Park Plaza Hotel Cardiff, Greyfriars Road, Cardiff CF10 3AL. The MWF Council meeting will take place on Saturday 12th May, 9:00-11:00am at the Civic Suite, Park Plaza Hotel Cardiff, Greyfriars Road, Cardiff CF10 3AL. This meeting is open to all MWF members who are welcome to sit in on discussions as observers. Delegates are invited to make their own arrangements for accommodation. For accommodation at Park Plaza Hotel, please contact the hotel directly on tel 02920 111 111 and quote block number code 2236454 (Bed & Breakfast) – starts from £109 per night. Hilton Cardiff, Kingsway, Cardiff CF10 3HH, Rates from £189 per night – Details here. Jury's Inn Hotel Cardiff, 1 Park Place, Cardiff, CF10 3UD– Rates from £67 per night – Details here. Please visit www.booking.com, www.laterooms.com, www.expedia.co.uk for competitive rates these and other alternative accommodation. Please note offers change daily. Visiting Cardiff for the first time? Visit Wales have provided are some tips on places to see, eat and stay - just click here.